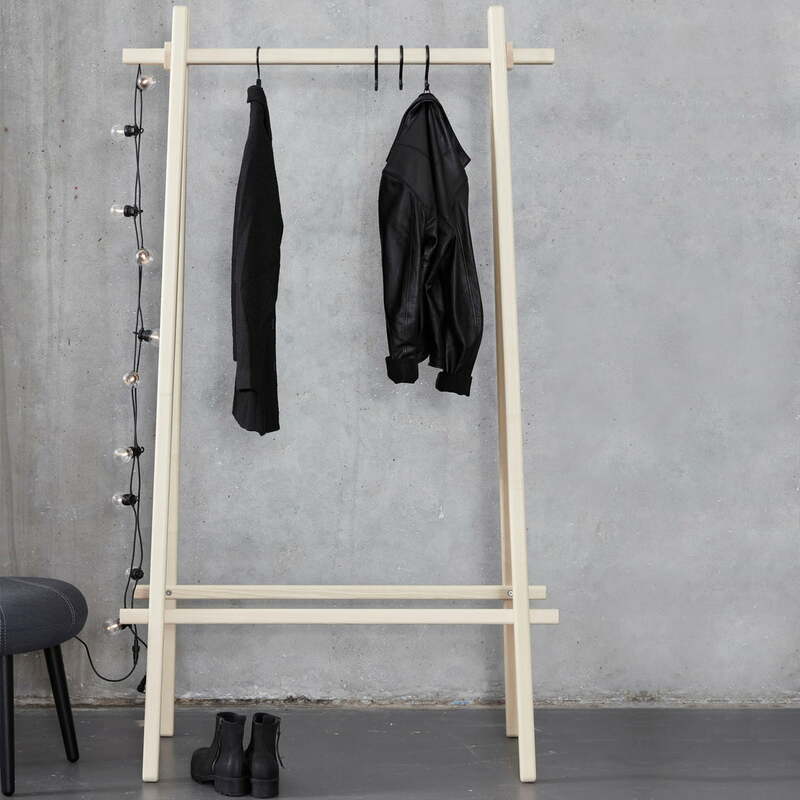 The coat stand by Andersen Furniture is a space-saving clothes rack that can be attached to the wall, as well as be transformed in a coat stand with the help of the corresponding connectors. 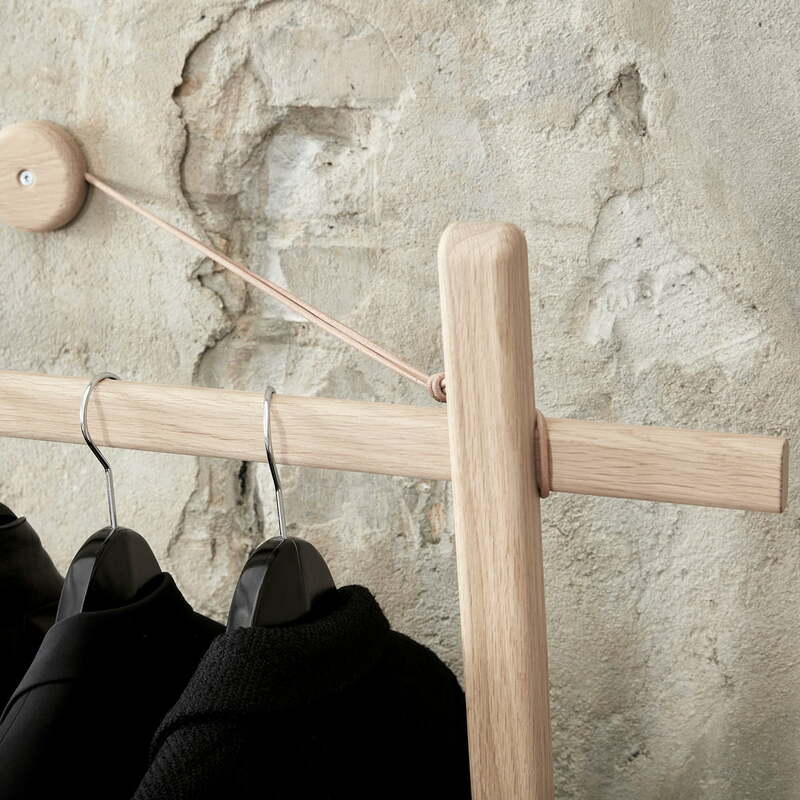 The clothes rack consists of two wooden poles, which become a stable construction with two crossbars. This design is installed on the wall as follows: A bracket is attached to the wall on height of the coat rack’s top edge. Two rubber bands are connected with the bracket and now wrapped around the clothes rack’s poles. The wooden frame is now securely held by the construction with the rubber bands on the wall and stabilizes itself with its feet, which press against the wall and waste no space in the room. 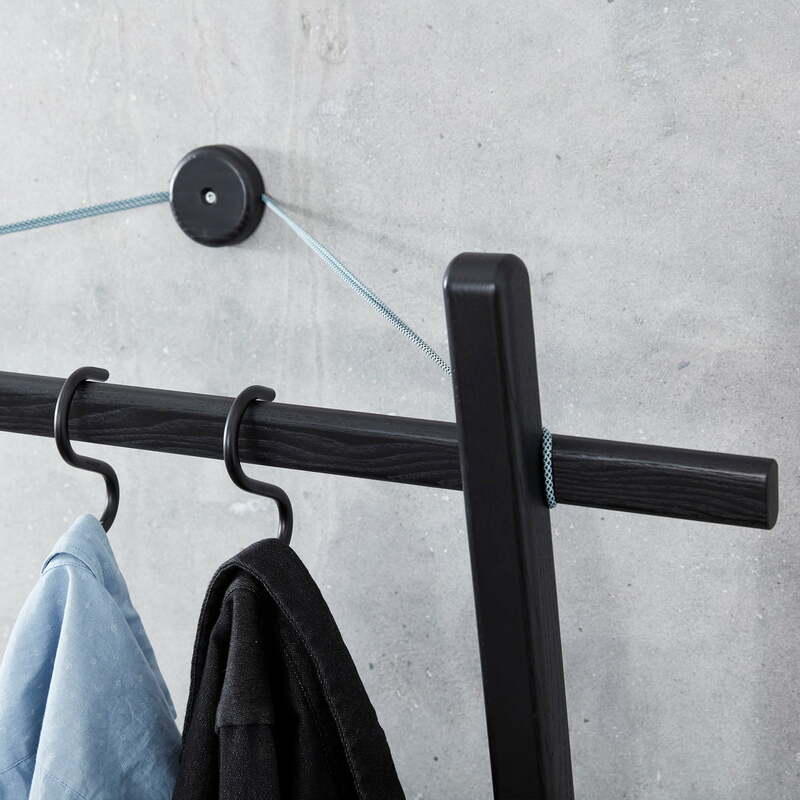 When installed, hangers and hooks can go perfectly on the clothes rail. In addition, objects also allow to be hung on the laterally protruding ends of the top pole. 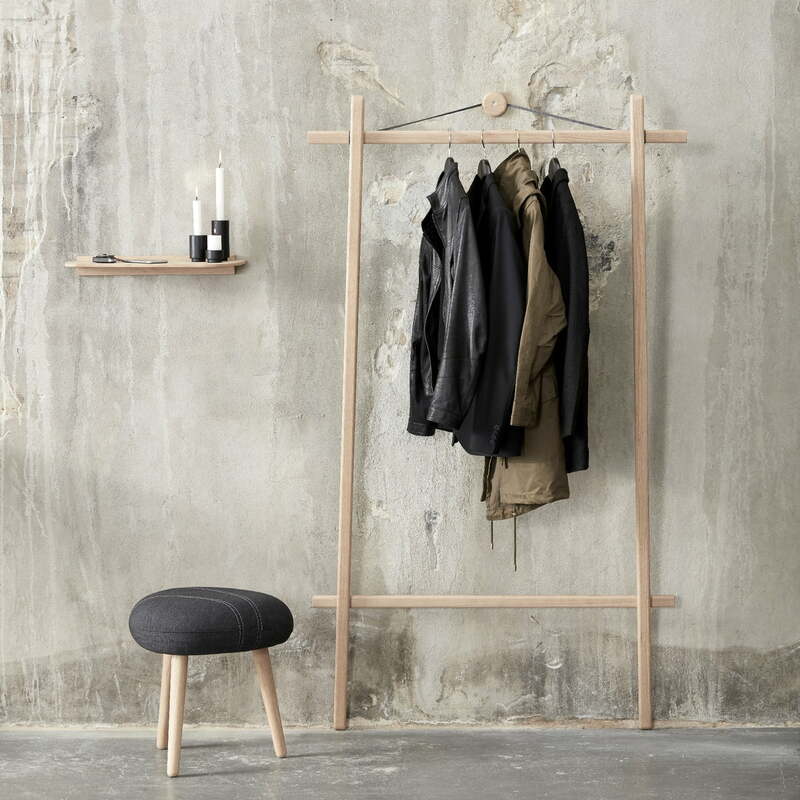 Individual image of the Clothes Rack by the Danish brand Andersen Furniture in ash. The plain coat stand by Andersen Furniture is manufactured from ash wood. 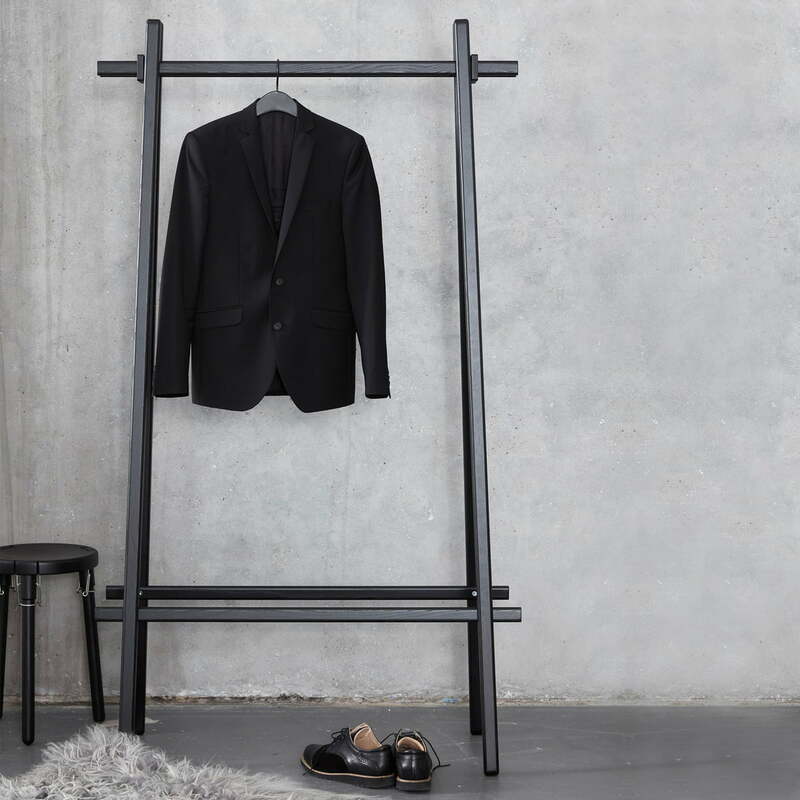 The coat stand by Andersen Furniture is attached to the wall by a bracket on the height of the top edge of the coat rack design. 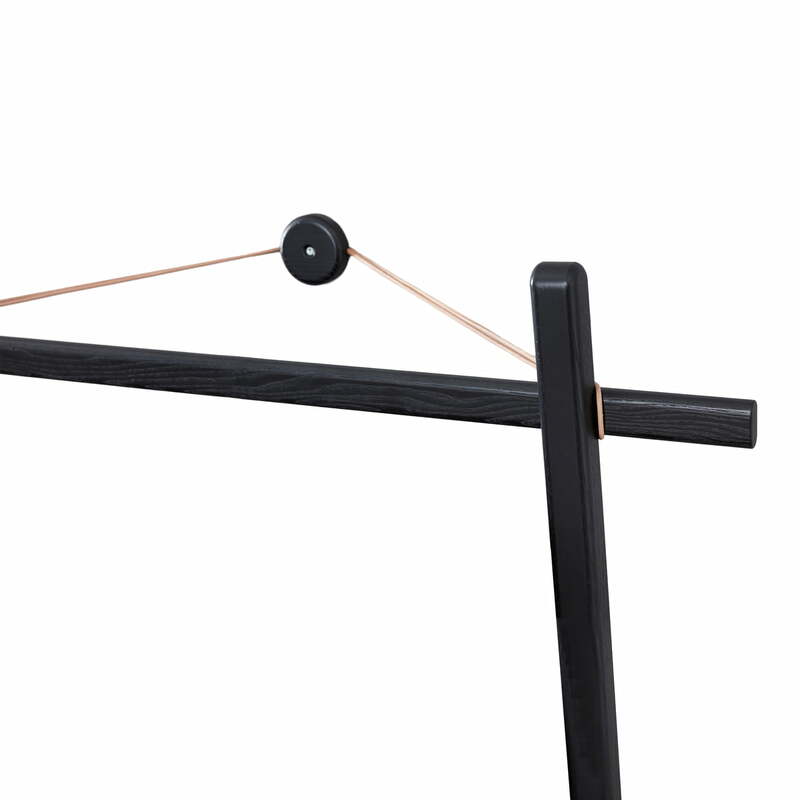 Two rubber bands are connected with the bracket and then wrapped around the clothes rack’s poles. 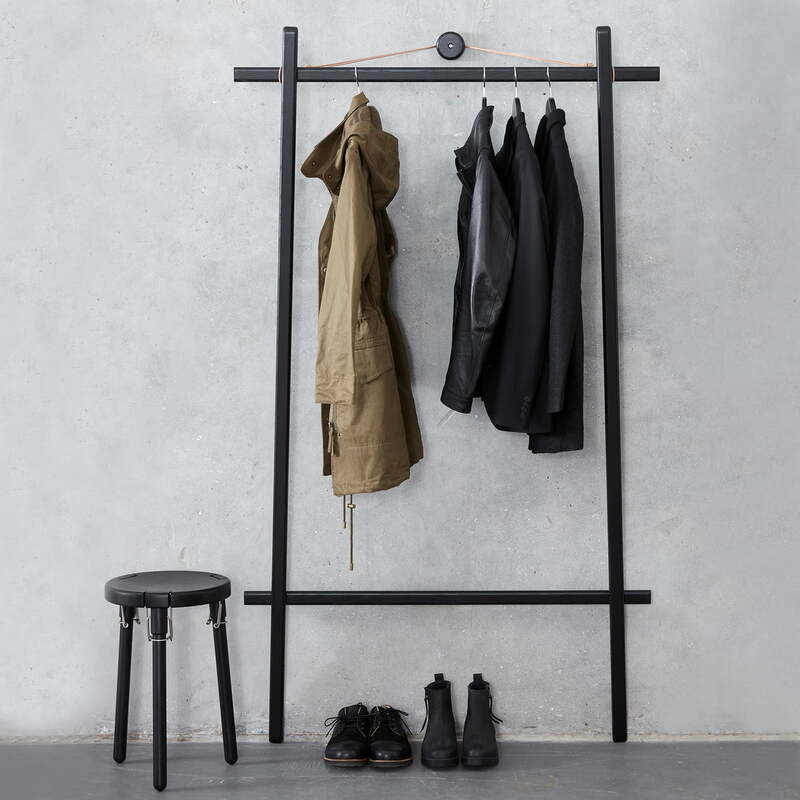 The coat stand by Andersen Furniture is a space-saving clothes rack that is held on the wall with a simple but clever trick to take up as little space as possible and to provide space for hangers. Clothes hangers and hooks can be hung on the clothes rack by Andersen Furniture. In addition, objects also allow to be hung on the laterally protruding ends of the top pole. The coat stand by Andersen Furniture together with the wall shelf and the Create Me candle holders and tea light holder becomes an eye-catcher in the entrance area of the house. 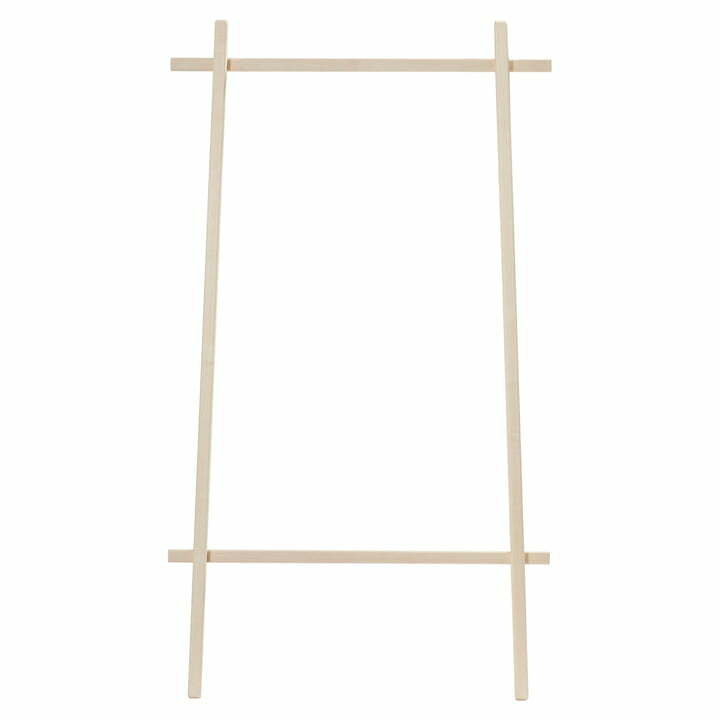 The clothes rack’s wooden frame is now securely held by the construction with the rubber bands on the wall and stabilizes itself with its feet, which press against the wall and waste no space in the room. 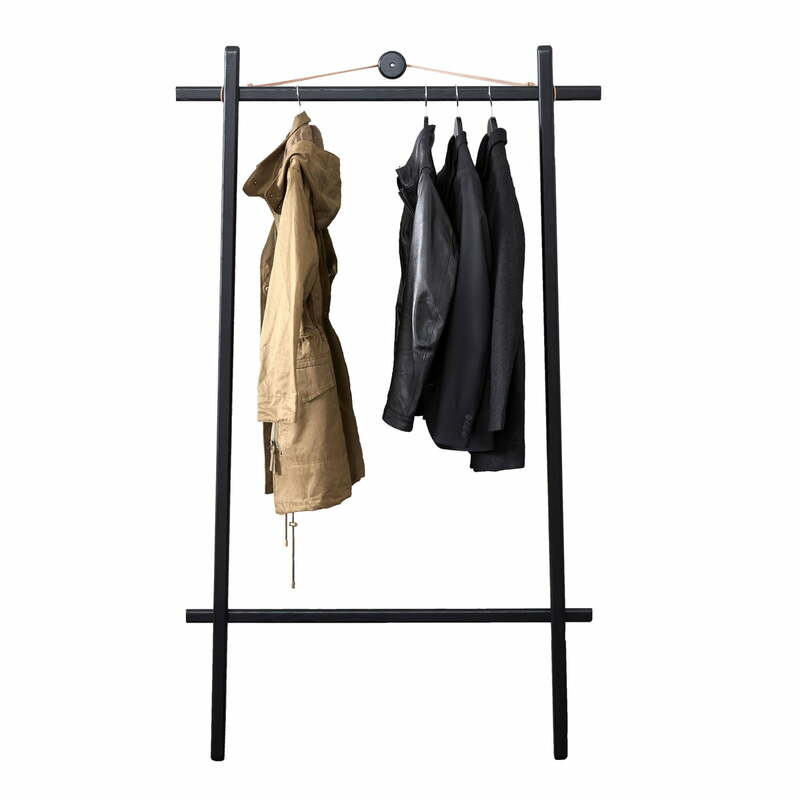 Two coat racks can be connected with the separately available connecting pieces by Andersen Furniture and the clothes stand can stand by itself. This is especially handy if the dressing room is supposed to stand in the room and not close to the wall.